who have chosen to switch to recycled papers have to say! 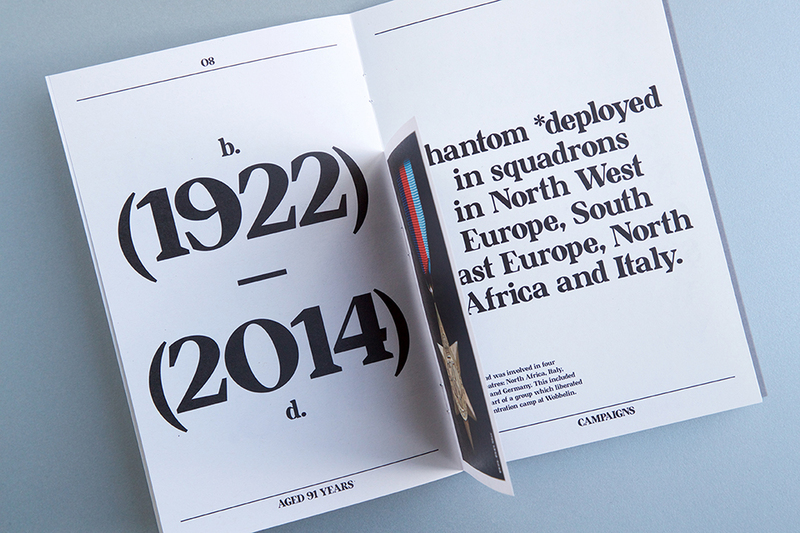 Antalis together with Arjowiggins Graphic have launched an innovative new campaign with typography designer Daniel Reed, featuring a crafted brochure that showcases a new font, taking inspiration from Ernest Raymond Reed, Daniel’s war-hero grandfather. Launching to coincide with Remembrance Day (11 November), the brochure highlights the distinguished printing qualities of Cyclus and Cocoon Offset 100% recycled paper. It heroes the simply titled ‘Raymond’, a brand-new serif style font inspired by Daniel’s late-grandfather’s time in WWII. 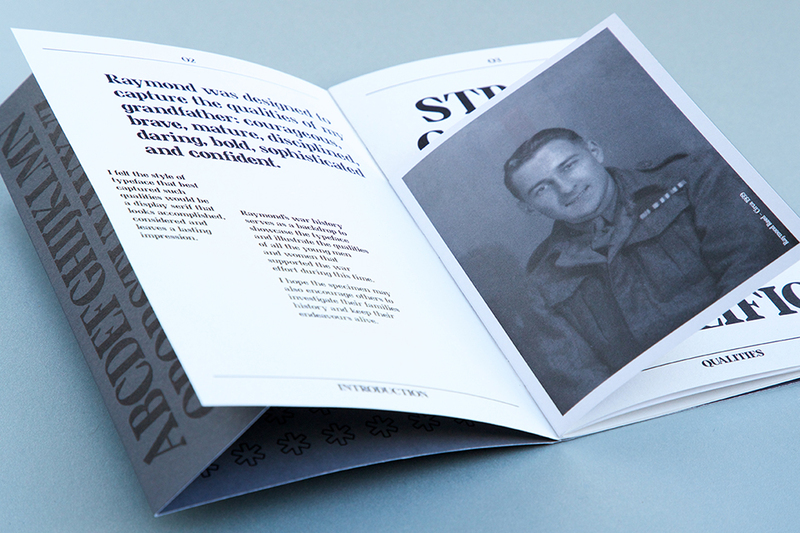 The typeface is featured in a beautifully designed A5 brochure featuring a grey spot colour outer and cover, several pages of typeset font as well as wartime images of Raymond, which capture his courageous, daring, bold and sophisticated qualities. Using a loop stitching feature to complement the look and feel of the paper the brochure, produced by ASAP Digital, features Cocoon Offset (120gsm, 250gsm and 350gsm for outer packaging, cover and inner leaves) and Cyclus Offset (115gsm and 250gsm for inner pages and card). The paper enhances the overall finish and brings the typeface and powerful photography to life. A 272 Sakurai B2 litho press was used to print the outer and cover using black and pantone cool grey 11 inks with the inner pages and leaves printed on a HP Digital 7900 Indigo Press. By printing Raymond on Cocoon and Cyclus 100% recycled paper rather than a non-recycled paper, the environmental impact was reduced by*: 974kg of landfill, 169kg of CO2 and greenhouse gases, 26,907 litres of water, 2,054kWh of energy and 1,582kg of wood. *Sources: Comparison between respective impacts of recycled papers produced by Arjowiggins Graphic and equivalent woodfree papers (BREF data for a virgin fibre paper – non-integrated production). Carbon footprint assessed by Labelia Conseil in accordance with the Bilan Carbone® methodology.